Join us and City House at the Carnegie Library for these 3 nights of discussing the changes, successes, challenges, and new projects of Beaver Falls in the realms of government, business, education, and church. Check out other upcoming events on our Events Page! The Beaver Falls Community Development Corporation seeks to work among citizens, business owners, churches, schools, and city officials towards a holistic restoration of our community. This includes physical spaces, properties and buildings, relationships and social fabric, and the individual lives of citizens. Grounded in the belief that revitalization is rooted in the dignity and assets of a community, the CDC works towards the inclusion and empowerment of those who make their home in Beaver Falls. In order to preserve the dignity of our community and point towards a vibrant future, a new and different narrative must emerge. It seems imperative that we, as a CDC, begin to address the ways in which our surroundings and circumstances keep us stuck in a narrative of defeat rather than point towards a more hopeful future. As a CDC, we intend to build upon three overall objectives: restoring and beautifying physical spaces, generating social capital, and stirring imagination and creativity towards a more healthy and confident social fabric. This approach, we believe, can communicate value, influence expectations, offer hope, and provide a context for real change. Want to Join The CDC? We believe that the city is full of assets, gifted people, and potential from we can draw ideas, resources, insight and the capability necessary to implement these plans. Not only are there many assets to build upon, we see Beaver Falls as a gift. We are privileged to live among great neighbors in a well-designed space surrounded by a beautiful landscape. As a CDC, we tend to hold relationships, hospitality, beauty and social capital in high regard in place of other dominant ideals such as convenience, efficiency or financial gain. Finally, we invite and embrace members of the community as partners. We hope that all Beaver Falls’ residents will stay here, provide input, continue to invest in their neighborhoods, schools and churches, and work towards a more rich and full quality of life. We simply cannot move forward without the help and support of the community. The CDC will work hard to support the work of existing committees and boards such as city council, the planning commission, and the business district authority. We believe that serving alongside these groups, sharing ideas and resources, and communicating openly will be critical to our progress and success. The CDC does not intend to simply serve as a conduit for the municipality. While we understand that CDC’s have various funding opportunities that are limited to the municipality, we intend to function as a separate but supportive entity. 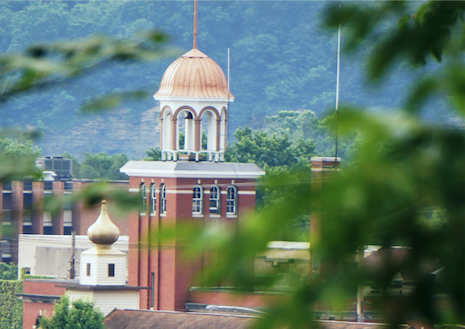 As a CDC, our highest priority is to seek the well-being and quality of life for the community of Beaver Falls. Thus, we will seek to hear and understand the needs, concerns, feedback, and suggestions from residents, pastors, business owners, youth, and city officials.